Though Dasain is coming to an end, the reasons to celebrate do not end. Today we celebrate another daughter of our hills Stuti Agarwal, a prolific author. 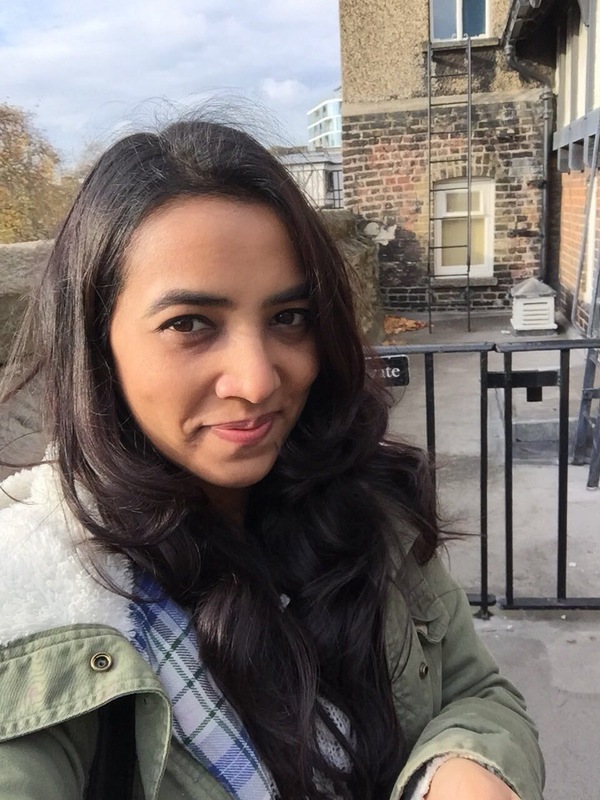 Stuti has her roots deeply clenched in Darjeeling and has been amusing a good section of the people, specially the younger ones, with her amazing writing style. Stuti an alumnus of Loreto Convent, first came into limelight when she debuted as an author with her book – “The Adventures of Tootsie Lama“. Her passion and love towards Darjeeling clearly reflects inside the character Tootsie, who is a small girl growing up in Darjeeling. We are happy to share that Stuti has just released her second book – “The Adventures of Young Kalam”, and we hope that she receives as much love and appreciation as she did for her first book. TheDC: Tell us about yourself..
Stuti: That’s a difficult question to begin with! Well, where do I start. I suppose, back home, in Darjeeling. 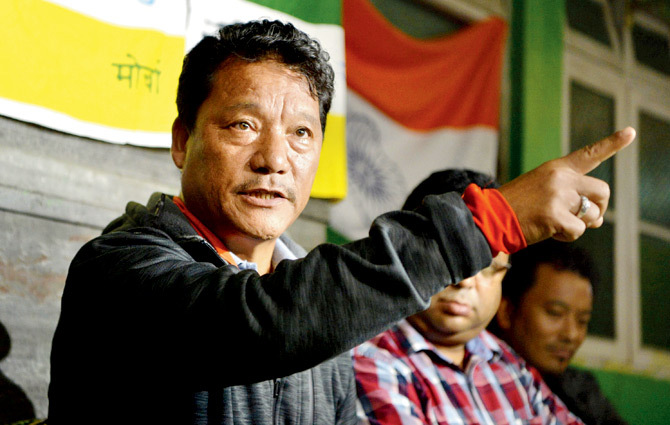 I’ve been brought up in Darjeeling, and on looking back now, know that it was the brightest part of my childhood. I studied in Loreto Convent until I left for Dehradun for my plus two, that was when the agitation was at its prime. I was also in a rush to leave, to experience the world they say. From Dehradun I came to Delhi, where I still am. I completed my Bachelors Degree in sociology and my post graduation in journalism (Hindu college and Times School of Journalism respectively). I went on to work at Outlook Magazine for the next four years and had the honor of being mentored by great people like Krishna Prasad and Satish Padhmanabhan. 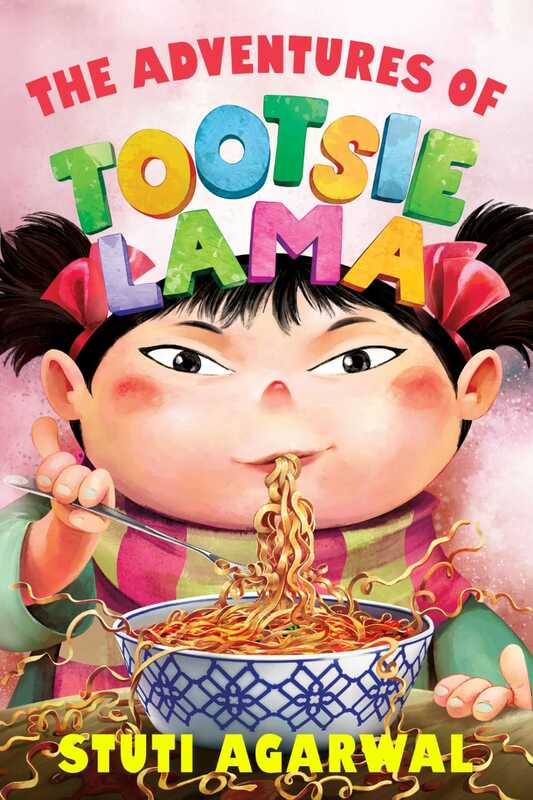 It was only last year that I began to write my first book, The Adventures of Tootsie Lama, set home. 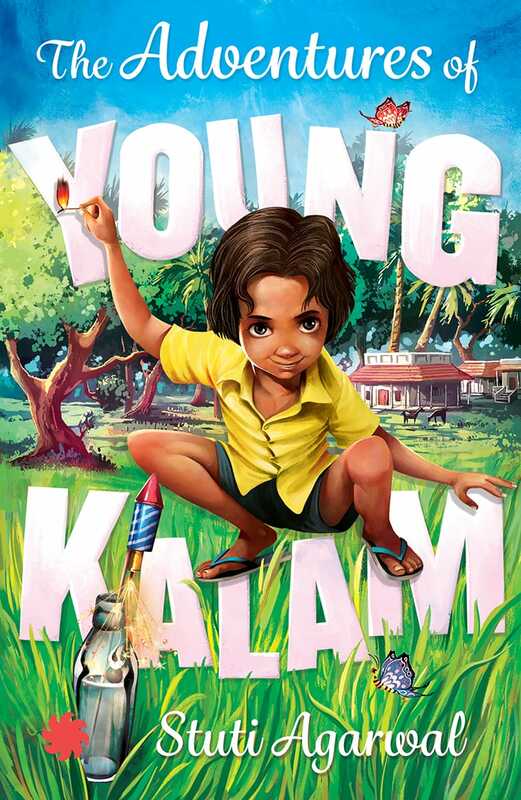 I recently finished my second recently, The Adventures of Young Kalam. Here I must add that mentors have played an important part of my life and Chiki Sarkar and Venky Vembu are the twin pillars behind my career as an author. It were my books, especially writing Tootsie Lama, that rekindled my love for my hometown. We get so busy with our lives, first running away to what we believe are greener pastures and then settling in them. Now I cannot wait for the day when I can lead the Ruskin Bond life back in Darjeeling. TheDC: What inspired you to get into writing? Stuti: Writing is the only thing I am actually good at! From school exams to that of college, it’s my writing that’s got me through. I was a fairly naughty kid, I remember my Hindi teacher in Loreto called me “teekhi mirchi”, but I studied enough for my writing to help me sail through. After college, when I was thinking of what I wanted to do, journalism seemed like the obvious choice. Of course I started with the idea of changing the world with my writing, but it soon went onto the back burner until I found my children’s writing and I found a new way to change the world – through children with my books. TheDC: How supportive have your parents/family members been about your writing, From a young girl to an author? Stuti: Unbelievably supportive! They’ve never told me what I could or couldn’t do. I come from a family of lawyers, and my brother is an MBA, so yes, I do remember them sitting me down to tell me that journalism would not mean big income, but never an unsupportive word. Same with my books, of course I never quit my job, but the brief period I was on a sabbatical, they never pushed me out of the house! Of course self sufficiency is always advised :). TheDC: Tell us about your first book. What prompted you to write it? Stuti: I don’t think I have a clear answer to that, but let me try. Writing the book for me was an escape from a not-so-satisfying job. The magazine I worked at changed hands and work changed dramatically too. I wasn’t enjoying it and decided to come back home for some time. I remember sitting in the momo shop below my house, slurping on Thukpa, looking out at the tea gardens below, and Tootsie Lama came to me. She’s every part of my childhood and more. So while the prompt was not hard enough, the character was. TheDC: Tootsie Lama, as you say, is a character based in Darjeeling. 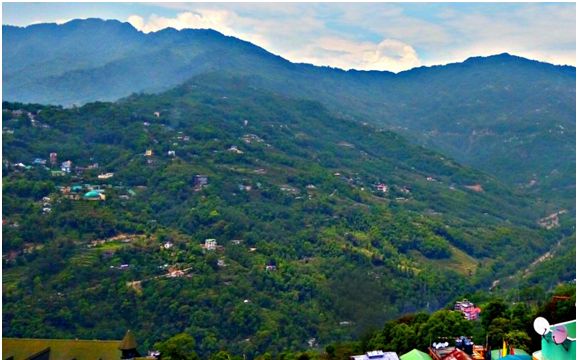 Do you think Darjeeling as a place has helped in shaping your creativity? Stuti: Absolutely! Honestly I don’t know if I’d be even half as creative if I grew up in Delhi. Of course, this is just me and there are great writers that have been from the city, but I’ve never been able to romanticize about the city like they have, for me I’ve found my inspiration and muse in Darjeeling. And while my second book, The Adventures of Young Kalam, is not set In Darjeeling, if you read it you’ll can relate to the kids, their relationships and dreams, all of them are so close to my childhood in Darjeeling. TheDC: Your next book has just been released. What can we expect of the book? Stuti: I am so excited about this one! The Adventures of Young Kalam! We decided to release it on the birth anniversary of President APJ Abdul Kalam, 15th of October, and obviously the book is about him. It’s a reimagination of the childhood of his great and beloved man. I had so much fun writing his character and imagining what his childhood would be like – and you can expect it to be all of that – lots of fun, curious inventiveness, and lots and lots of laughter. I love the simplicity of all the people in the book, juxtaposed with the big ideas that Kalam brings. And because it is a chapter book, it would especially appeal to the kids. TheDC: Your books basically look to attract young readers. Any specific reason behind it? Stuiti: I don’t think I ever consciously chose to be a children’s writer, Tootsie Lama was a story that came to me in a light bulb moment. I did however realise after Tootsie Lama that I liked writing for kids, especially because I still love all my Roald Dahls, Enid Blytons, AA Milnes, Rudyard Kiplings, and so much more. I still love to live in that imaginary world where your whackiest dreams come true. Which is why my one and only favourite author is Dahl. I don’t think, as of now at least, that I want to preach or teach kids through my writing. I write to make them enjoy the process of reading and imagining, and in the hope that they will enjoy it enough to want to pick up another book. I don’t think I ever want to get out of dream world of books and I write to ensure that kids know the address to it too. TheDC: Where do you see yourself in the next 5 years? More books on the shelves? Stuti: Hopefully! Fingers crossed! I haven’t yet begun on my next, but I hope to start soon. The dream, like I mentioned, is to one day live the Ruskin Bond life. I’m giving myself ten years for it. Hopefully I can one day live a life back home, as an author. I even have my eyes on the house I want! TheDC: Did you face any challenge in your way to becoming an author? Stuti: Apart from the many rejections and silences? No, I have had a great editor in Chiki Sarkar and I couldn’t have asked for more. She saw potential, sure, but she hand held me into making it what it is and has helped me learn greatly what it takes to write a great book. She is the Whit Burnett to my JD Salinger, any miniscule bit of him that I hope I have anyway. TheDC: Your message to the youngsters who want to follow your footprints to become an author. Stuti: This is always a scary question for me. I don’t know if I know enough to advise. But I think if there was one thing I could say, it would be – read! Read everything and anything you can get your hands on. Luckily for us, Darjeeling schools have a treasure trove of great books, and if not there’s Oxford Book Store and they’re happy to order any book you really want. I started really late on my reading journey and am still catching up, but I think reading is an invaluable addition to an author and her/his craft. The second would be to actually start writing, consistently writing anything and everything; you’ll slowly develop the art of plot, characters, atmosphere, language, and more. Finally, let other people read it. Send it to anyone and everyone. We, especially in the small town, are not exposed to the big leagues and are many times hesitant to take the leap. But it must be done, it is the only way. TheDC: Last one, What would you want to say to our readers? Stuti: Thank you. For buying the book, reading it, and hopefully enjoying it enough to want to pick up the next one. I am absolutely humbled at the idea of touching anyone’s life through my writing, even if it’s for a brief moment. I love talking about the books with anyone who’s read it and wants to talk about it or anything related to it. So I truly hope my characters and story initiate that dialogue with my readers, because that’s something I live for an an author. 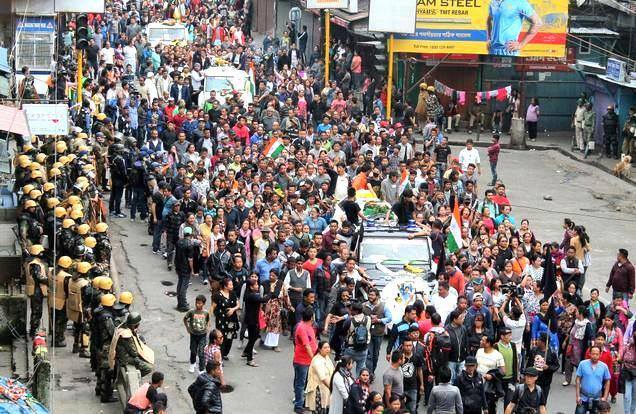 2 Comments on "STUTI AGARWAL : Sharing a Slice of Darjeeling With the Rest of the World"
Wonderful reading for all the young Tootsies and Kalams of Darjeeling Hills. Wonderful message in advising people to read or catch up on it. Studies definitely show that children who read are more intelligent than those who simply surf. And specially appreciate Stuti’s stuti to Darjeeling in that she wants to come back and do a Ruskin Bond. Truly home is where the heart is. Best wishes to Stuti and all those who have encouraged her.